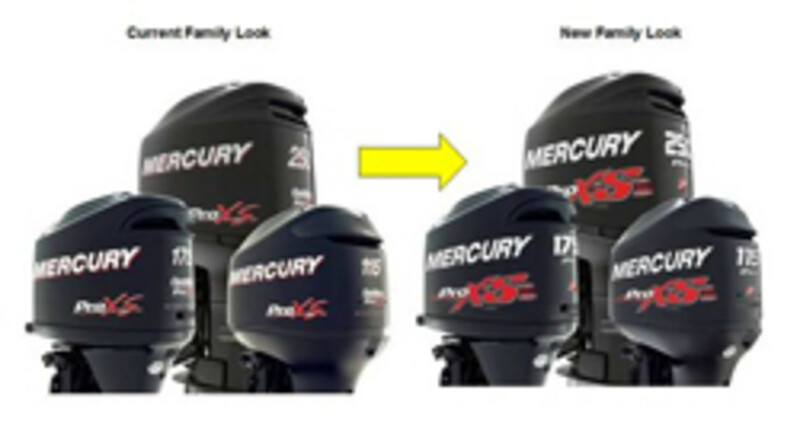 Mercury unveiled a new graphics package for its OptiMax Pro XS lineup of outboard engines. The OptiMax Pro XS ranges in power from 115 to 250 hp. After listening to consumers and testing various designs, Mercury created a graphics package that mirrors the special-edition tournament graphics typically seen at events such as the Bassmaster Classic. "Mercury&apos;s Pro XS outboards have long been known as the fastest, most proven bass engine on the planet, having won more tournaments than all other brands combined,” OptiMax Pro XS line product manager Steve Miller said in a statement. “Nothing makes this clearer than the new Pro XS graphics on the 2013 program year models. This edgier, tournament-grade graphics package puts a higher emphasis on the Pro XS name, which is exactly what our die-hard competitive anglers have asked for." Production of the new OptiMax Pro XS with the upgraded graphics package has begun and new inventory is arriving at distribution centers.